Story by Antonique Thomas, Kemarte Jefferson and Mathew Walden Taylor. Summer Learning Academy (SLA) is very helpful here at Friendship Chamberlain. SLA Teachers help students get prepared for whatever grade they are going to and their future knowledge. Our theme this summer was “Super Heroes”. Some students here in SLA think it’s very nice to have the opportunity to learn about ELA, vocabulary, phrases and many other academic categories. We solve math problems and learn new concepts or review concepts we will see again. Here in SLA there are a lot of fun things that we do. You can earn a lot of dress down days. In order to get those dress down privileges, you have to be able to be here at SLA everyday. Also, your class has to get perfect attendance. During SLA, we worked on a special project that will be shared with staff, parents and all SLA students the last week of summer learning. Another fun incentive is “Fun Friday”. If you complete all you're classwork and homework you can attend a “Fun Friday” event with a superhero theme. 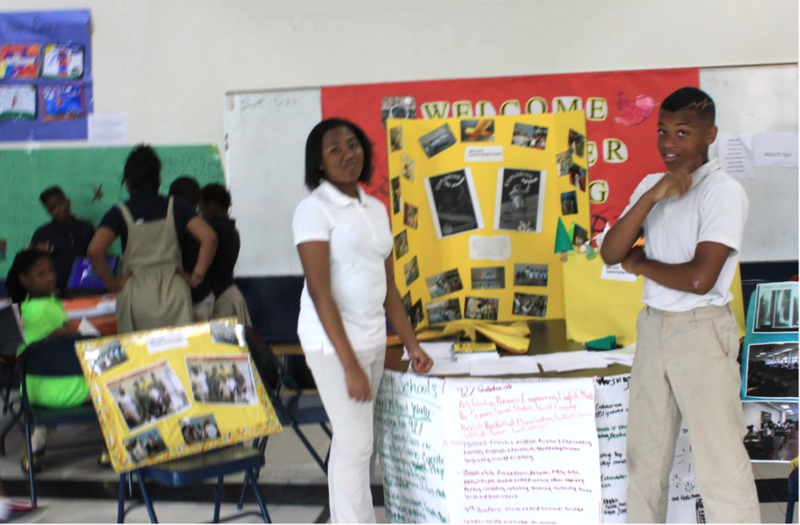 On July 27, 2015 for SLA day we made presentations of what we did during the three weeks of summer. 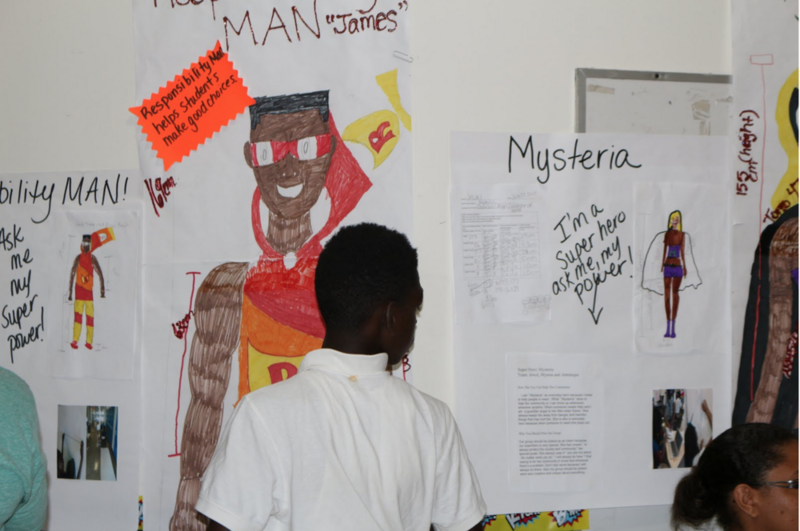 Most of the projects had a super hero theme because that was the theme of SLA. We made boards and posters full of the interactive stem activities and showed trips that we participated on. Grades one through eight presented their SLA projects about what we learned throughout the program. Some classes in the summer school program created life-sized superheroes. They described and talked about superheroes. They had superheroes like “Responsibility Man” made by James Thorne. Fourth graders wrote about everyday superheroes in the world. They choose doctors and other real life big heroes. Other groups emphasized more common problems like bullying, violence and current events. They showed how they happen and told why they happen while giving helpful facts. They made a skit and showed all of the good deeds that they did and how they worked to help end bullying and other current problems like violence and poverty. The AVID program students showed what they were working on. They showed origami and told why they worked on it. They went on a field trip to Catholic University and Air and Space Museum where they learned about Flight Simulator and Bones. The professor at Catholic University told students a story about how his son broke his leg twice and how he did origami to make a 3D scale model of the bones. They learned about space and flight when they went to the Air and Space Museum. They learned about bones and cells when they went to Catholic University. In class we did other activities like learning algebraic expressions and high school application processes. Every student had the chance to present to a class, teachers and administrators. Parents also were in attendance. SLA day was a huge deal. The different classes and groups worked to show what they learned and everything that they did in SLA. It is evident that there is learning happening in SLA at Chamberlain. We think that it is important for kids to gain knowledge so that they can understand different things and be successful and get into a good college. At the end of SLA, we had this big trip to Cameron Run that was really awesome and fun. One thing we really enjoyed about Summer Learning Academy is the small group in the classroom. It gave us more of a chance to participate and ask questions or get called on in class. It is evident that there was learning happening in SLA. Matthew Walden, Kemarte Jefferson, Antonique Thomas and Khalil Jones are eighth grade scholars, Candace Spruill and Mackenzie Walden-Taylor are seventh grade scholars and Nija Lemons is a fourth scholar at Friendship Chamberlain Academy.